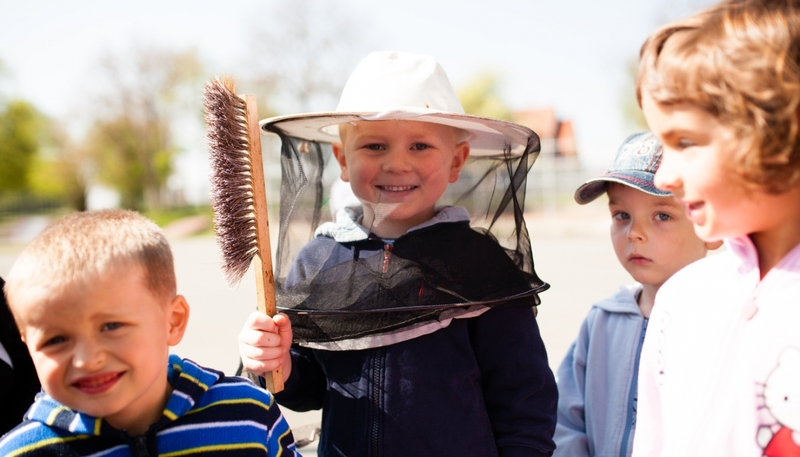 We strive for children to learn about nature and the real world by their own experience, exploration and discovery. To learn how to find solutions to problems and take steps to improve them. In order to work with as many children as possible, our key partners are teachers and parents. We educate over 94,000 children; we cooperate with more than 750 schools and 5,000 parents. Eco School helps children, teachers and parents make school a more enjoyable, more democratic and more natural place to live. Pupils snoop through the school "cellar-to-ground", examine its impact on the environment, and based on their findings, they design and implement measures that improve the situation at school. The environment ceases to be just a lesson for pupils. It becomes something that affects them and what they can influence themselves. Pupils experience genuine participation in the operation of their school and learn the responsibility of their surroundings. Every year, several dozen schools go through an audit to assess whether they deserve the international Eco School title. For more information see Eco-Schools international webpage: www.ecoschools.global. Contact Eco-Schools Czech Republic: ekoskola@terezanet.cz. GLOBE is an international program in which pupils explore nature through scientific methods and help improve the environment around them. We support methods of research-oriented learning. Data measured by pupils serves scientists to verify different hypotheses and models and is also available to the general public at the globe.gov international portal. TEREZA is the GLOBE Regional Office for Europe and Eurasia and supports the development of the program in 41 countries. The program is guaranteed by NASA and NOAA. For more information see GLOBE international webpage: www.globe.gov. Contact GLOBE Czech Republic: globe@terezanet.cz. In order to learn about the natural environment, it is essential that teaching also takes place outdoors. Best based on observations and experience. Within the program, we want children to see the forest as a safe and exciting place that is full of stimuli and can be explored by all senses. They experience the trees, herbs, fungi, animals of our most widespread ecosystem and their interconnectedness personally. They also look at the forest as a place with its own history. From their experience, they can evaluate what is good for the forest. In order for all this to happen, we try to motivate teachers to teach in the woods and to make it easier for them. We are preparing a methodology in line with the FEP in the spirit of active learning, tailored to each grade of elementary schools. For more information see LEAF international webpage: www.leaf.global. Contact LEAF Czech Republic: les@terezanet.cz. Why going outside? Because while playing outdoors, children will wear down, will be happier and the whole family will be happy. We encourage parents to re-discover the magic of games in nature and to spend more time outdoors with their children. GO OUTSIDE is a program that appeals to the general public. The main target group is parents whom we equip with ideas and advices about what and how to do with children outside. In addition to games, tips for trips and outdoor events, we also provide education in the area of children's contact with nature. We demonstrate that shared time outdoors is necessary for children and contributes to the satisfaction of the whole family.